Brae Maxwell Antcliffe was the only son of bank manager Thomas Maxwell Antcliffe (d.1983), of Narooma, and his wife Bernie. On 14 March 1973, he announced his engagement to Helen Mary, eldest daughter of W L Wright of Eugowra, NSW. Brae Maxwell Antcliffe is a barrister. His premises were in the Selbourne Chambers, Phillip Street, Sydney. He was the president of the King’s Cross Chamber of Commerce. In 1983 he stood unsuccessfully for Liberal selection for the State seat of Bligh. Antcliffe was a campaigner against prostitution in Darlinghurst. He was a member of a Parliamentary committee to look at the problems of prostitution. In 1983, he was the president of the Kings Cross Chamber of Commerce. 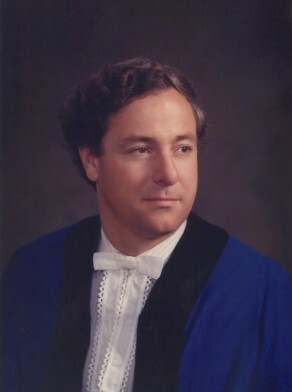 Brae Maxwell Antcliffe was elected Alderman for Fitzroy Ward from 20 September 1980 until 13 April 1984 when he did not seek re-election. He was a Member of the General Purposes Committee, 1980-84; the Planning and Development Committee, 1980; the Finance Committee, 1981; the Building and Development Committee, 1982-84; and the City Planning Committee, 1982-84. Antcliffe also represented the Civic Reform Association.